Like any other sport, mastering the basics of table tennis will get you past the toughest opponents. Take the time to learn how to grip your paddle properly, how to move your feet, and learn the different spin effects. Identify your weak points and constantly practice until they become strengths. Learning how to use spin is difficult, but it’s often the key to beating any player at any skill level. Understand how spin affects your return and you’ll soon learn how to counter it. 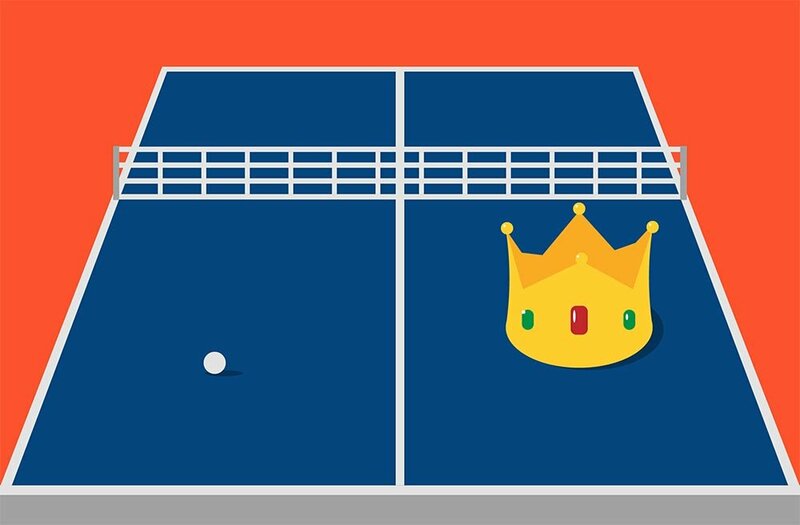 – Keep an eye on your opponent’s paddle as they return the ball, because it will bounce off in the same direction when you touch it with your racket. – Check how fast the logo on the ball is spinning to gauge its speed. If the logo is blurry, then that means the spin will have a greater effect, and vice versa. – When the opponent’s paddle is moving low to high, then it’s a topspin. 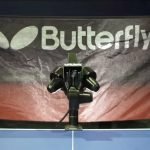 Opponent’s paddle is moving high to low, then it’s a backspin. Left to right, it’s a right sidespin, etc. There is no substitute for practice, and you should do it as much as you can between competitive matches. 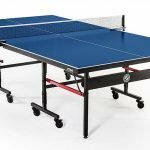 This time should be spent overcoming glaring weaknesses you may have or developing your strengths and making it an overwhelming part of your table tennis game. Remember that when you practice you want to improve, but when you are playing in tournaments you want to win. You can play practice games to develop a new tactic or integrate a new skill you’ve learned into your repertoire. It’s also essential to watch yourself play. This way you can clearly see what mistakes you are making and quickly correct them. 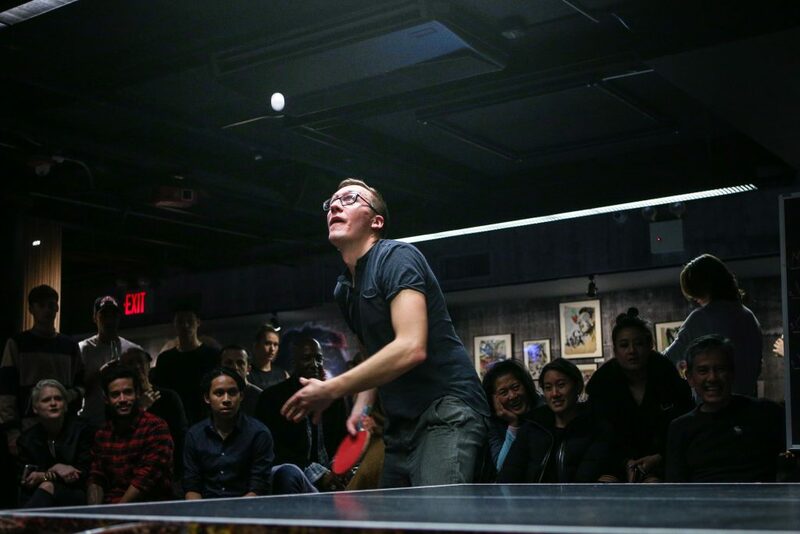 Serves are an integral part of table tennis. If you haven’t thought of using serves as a tactic to gain an edge over your opponent, use it now. An excellent serve can win you the point, and sometimes the game! There are a lot of ways you can serve. Short serves are perhaps the best method because it makes it very hard for your opponent to gain any kind of advantage. Always keep your wrists relaxed if you’re going for spin and try to move your hand faster at the end of the stroke to increase the ball’s spin. You can also mix and match serves to keep your opponent guessing. Height 1 is when the ping pong ball has bounced and is on the way up. You can hit the ball just before it reaches maximum height using a bit of a backswing coupled with a short, quick stroke. This has the effect of catching the other player unprepared and can often win you the point. 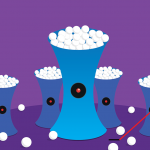 Height 2 is when the ping pong ball has bounced and is at its highest point. The key here is to use a relaxed technique for the best effect. Here are where flat shots are usually best performed. Height 3 is when the ping pong ball has bounced and is about to hit the table. This would normally require a large forearm swing before the impact. Forehand loops are most effective at this height. 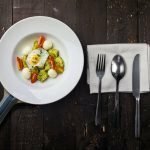 You may have picked up the habit of taking a longer swing in playing basketball, golf or tennis, but in table tennis, having a shorter swing is better. The reasoning behind this is that a longer swing allows more room for error and it incapacitates you for a longer time. Both the backhand and the forehand should use short, powerful swings to get you back in position more quickly. What’s more, a shorter swing allows you to be more precise and accurate on where you want the ball to go. Use long swings only when you’re performing offensive topspin shots. 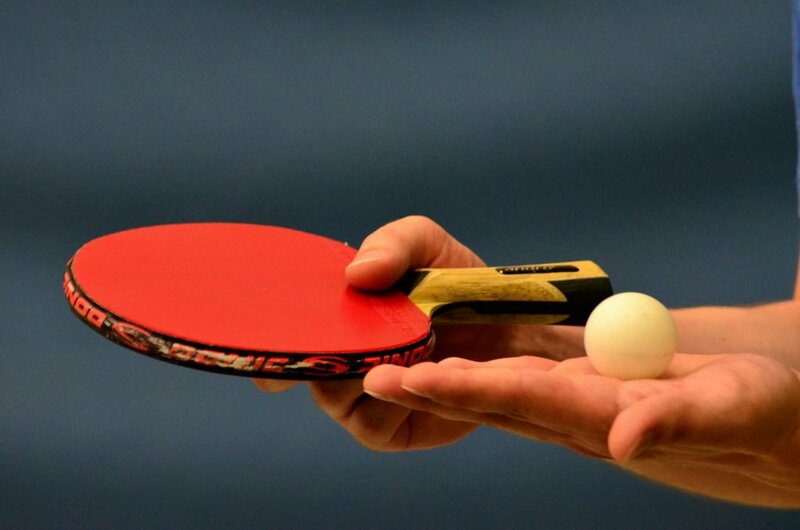 Beginners should start with a basic paddle to get a feel for the game. When you’re ready for a better paddle, you can opt for a medium fast blade so you can hone your skill and technique rather than relying on equipment alone. After you feel like you cannot get any more performance out of the racket, you can go ahead and get a better table tennis paddle. 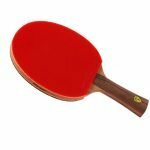 The fastest way to improve is to get the best ping pong paddle for your level. Once you have your racket, it’s time to use it exclusively. Don’t switch rackets often so you’ll develop a good sense of play and a feel for that particular equipment. Use it when practicing and in tournaments. Treat your paddle with respect – keep it inside a case and use a special cleaning solution or a simple mix of soap and water after each use. The general rule here is that the lower the ball is in relation to the net, the harder it will be for your opponent to counter with a variety of moves. On top of this, you should try to aim for the farther possible point at the edge of the opponent’s table. This way he will be forced to step back but may not have the necessary reflexes to do so, giving you another point. In order to get better, you’ll need to constantly aim higher. 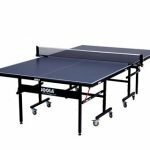 Table tennis is all about improving by matching up with better opponents. When you play on a higher level, you’ll understand your strengths, your weaknesses, and you can even learn some new tactics or strategies along the way. Table tennis clubs typically group their players by skill level. 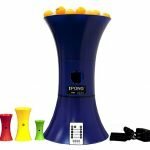 What’s more, these clubs will have professional coaches who can train you and develop you into a better ping pong player. The game is just as psychological as it is physical. Beginners often get into the habit of trying to smash the ball each time it comes on their end. You should play patiently and wait for an opening(your opponent returns a ball that’s too high, or doesn’t have a good spin etc). While waiting, make sure your strokes are short, quick and powerful and that the ball doesn’t go high over the net. Don’t lose your temper if you make several mistakes in a row. Take a deep breath, visualize winning the next point and see where you could improve or switch tactics. 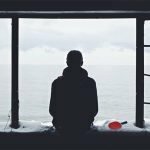 Utilize the pause when serving to think about your service strategy and the impending return. You should not always try to serve with as much spin as possible. Sometimes it’s better to fake a lot of spin when in actuality it barely has any. You can do this for the backspin serve for example, by swinging your paddle normally but making contact with the ball at the base of the racket, closer to your hand(the paddle has the slowest speed there). This way your opponent will get under the ball expecting heavy backspin but the ball will be returned high over the net, making it easy for you to score. Don’t hit the ball with just your arm when performing a forehand stroke. To maximise the power output, you want to rotate your upper body while lowering yourself a bit on the side with the paddle (right if you are right handed). This is the same advice that coaches give to boxers. Hit the ball from the hips and your shots will become tremendously powerful. This is especially true when topspinning a ball when it has backspin. Start with your hand relaxed and low, near your knee. Then, you want to move your paddle in an upwards motion and just at the last part of the movement, you accelerate and immediately stop. Think of how you would use a whip, it is the same idea. 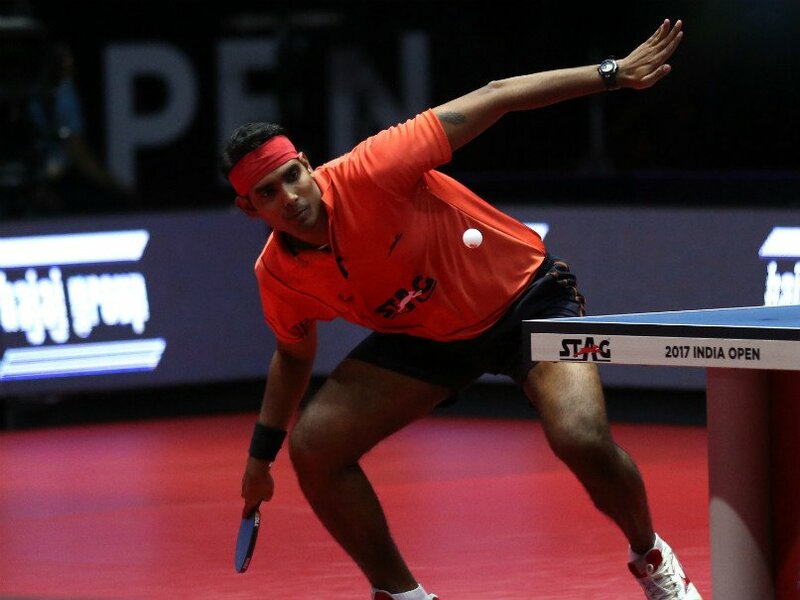 The paddle will impact the ball at a much higher speed which will lift the ball more easily over the net. Try to always lean forwards, on the tips of your feet, when hitting the ball. This will prevent you from doing what most beginners do, leaning backwards to compensate for their slower reaction times. By leaning forwards it will give you a bit more power, as your whole body will be moving toward the ball when making contact. Footwork is arguably the most important aspect of table tennis. You may seem cool that you are beating your opponents without moving too much, but when you will face a better player you will not stand a chance. By moving your body, you will place yourself in the best possible position to hit the ball. If you stand still you will twist your arm in weird positions which will result in a sub-par shot and often you will miss it altogether. Why do you think you keep hitting the ball with the side of the racket? Very nice tips Emma. I like reading your styles.